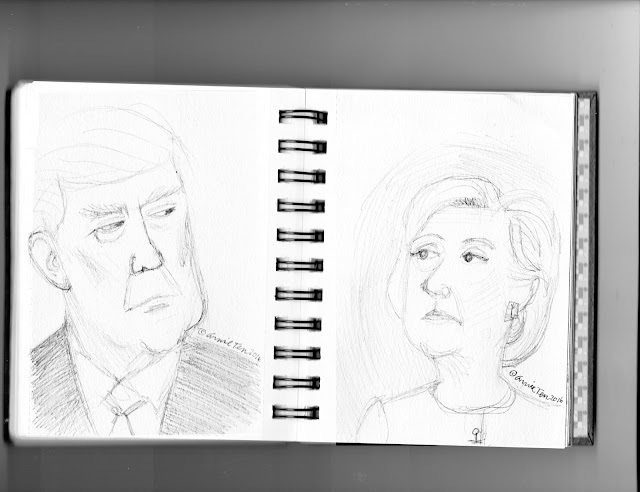 My sketchbook page from the first debate. What can I say? Before everything went berserk.